The Oxford Internet Institute (OII) is pleased to announce that Dr Peter Krafft will be joining the department as a Research Fellow in 2019. Peter will be joining the faculty of OII in June this year. 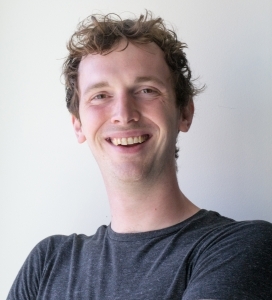 He is currently a Moore/Sloan & WRF Innovation in Data Science Postdoctoral Fellow at the University of Washington, where he works in DataLab and co-directs the Critical Platform Studies Group. He is also a part-time postdoctoral researcher with Tom Griffiths at the University of California Berkeley’s Social Science Matrix, and he recently spent time as a visiting postdoctoral scholar at the Data & Society Research Institute in New York City. His research develops new social data analysis methods to better understand rumours, fads, disinformation, and information flow. Some of his recent work in these areas has also touched on public understanding of science and artificial intelligence. The methods he has developed span observational data analysis, behavioural modelling, online laboratory experimentation, and online field experimentation. Several of his research projects have specific implications that could inform pressing policy issues, such as the development of systems for dealing with certain types of misinformation, the design of online financial exchange platforms, ethical approaches to social data science, and artificial intelligence governance. Peter completed his PhD at MIT in Electrical Engineering and Computer Science. He publishes across human-computer interaction and artificial intelligence, and has won awards for his teaching and research. We look forward to welcoming Peter to the University of Oxford.